Newly released from prison, Jessica Jones has got a lot of problems. Her latest client wants her to investigate her husband, who thinks he’s from another universe, and Jessica’s own husband, Luke Cage, wants to know where their daughter is. Jessica’s got a lot on her plate when a new threat appears, one that wants to destroy all heroes. 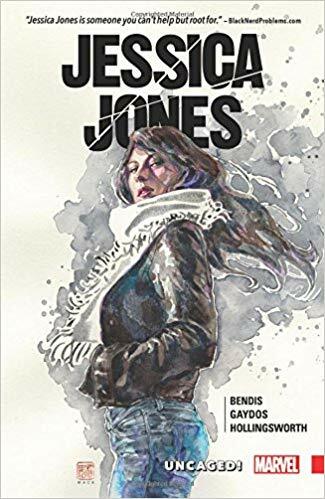 I liked how this book managed to keep Jessica Jones and her story relatively grounded, while still having cameos from other superheroes like Jessica Drew aka Spider-Woman and Carol Danvers aka Captain Marvel. It made Jessica and her PI business a part of the wider superhero world, but it also shows how Jessica is constantly fighting against the title of “hero” and being a part of that world. Jessica and Luke’s relationship is strained, but I did enjoy seeing it and I hope they can work things out. Jessica has given a lot up to do what she thinks is the right thing, and it’s meant keeping a lot of secrets from the few people she cares about. I liked the art style in Jessica Jones, and I loved the monotone colours, it really set the tone of the story. While I didn’t love this comic, it does enough to make me want to continue the series to see how Jessica can possibly sort her life out. 3/5. The Black Widow is dead, but someone is killing her old enemies one by one. With a broke heart and a bloody trail to follow, Clint Barton aka Hawkeye is looking for answers. The only place he might get them is from another of Natasha’s ex-boyfriends, Bucky Barnes aka the Winter Solider. Will Clint and Bucky be able to trust each other enough to get to the truth, or is the truth deadly and out to get them? I really enjoyed this. It’s a sequel to everything that happened with Secret Wars, Captain America apparently being an agent for Hydra and a lot of bad stuff happening, but you really didn’t need to know any of that to read and enjoy this comic. I only knew the concept of Secret Wars and haven’t read any myself, but this book does enough to give you all you need to then enjoy these characters and their interactions. I’m a big Clint Barton fan and I really enjoyed how he and Bucky interacted. It was great how in the fist issue it’s told from Clint’s point of view and then the second issue is from Bucky’s, giving you an insight into both of their minds. They both don’t like each other but they have a common goal in finding out what’s going on with Natasha’s past. They have some really funny moments, and Clint is his idiot but capable self which I loved. I liked the art style and the colours too for the most part, though some facial expressions were a bit overexaggerated for my taste. 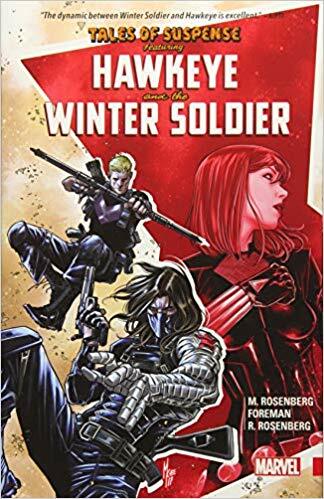 Tales of Suspense: Hawkeye & the Winter Soldier is a really fun, character-driven mystery and I’d love to read more about Clint and Bucky’s reluctant partnership. 4/5. Theresa has a lousy toy boat that she doesn’t really like but it talks to her, encouraging her to run away to a land that she can be Queen of. Theresa travels to Toyland, where broken-down playthings dwell. Wooden, metal, plastic or stuffed, they’re all looking for a queen to fix their bodies and their realm. But these toys are broken in more ways than one. As Theresa’s family search for her, including her wild brother Dare, what will become of her when she discovers the truth about Toyland? And what will staying in that realm cost? This graphic novel has been sitting on my shelves for years. A friend bought it for me for Christmas one year, but I had never gotten around to reading it as it’s Volume 18 in the Fables series and thought I wouldn’t be able to follow the story without reading the previous 17 volumes. Recently I did some googling and as everyone seemed to say this was a standalone volume I gave it a go. I do agree it’s a standalone. I could follow the story and the various characters and their relationships easily enough, though there were the few odd moments that seemed to be tied to the larger story that I was unaware of. 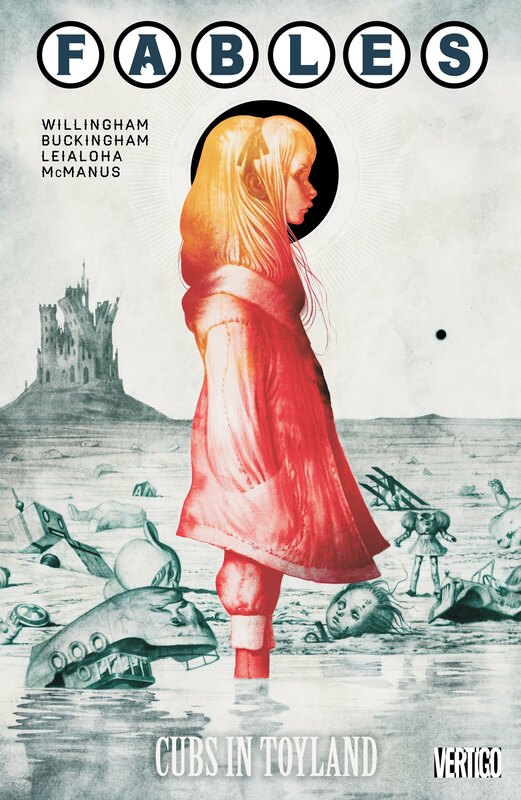 The magic system and how all the characters are versions of the classic fairy tales is interesting. Cubs in Toyland was surprisingly sinister and dark at times – these weren’t the fluffy Disney-versions of the fairytales we all know. There were some bloody and violent moments too, which were even more disturbing as they featured young children. Maybe it’s because I didn’t have as much of a connection to the characters as I hadn’t read the previous volumes, or maybe just the story wasn’t for me, but I did find Cubs in Toyland a bit of a slog to get through, especially the last 40 pages or so. I just didn’t really care to find out how the story would end or if Theresa would be OK. 2/5.